Asthma Anaphylaxis training unit of competency describes the skills and knowledge required to provide first aid response, life support, management of casualty(s), the incident and other first aiders, until the arrival of medical or other assistance and provide advance training in the use of auto injectors for the treatment of anaphylaxis and the advance treatments associated with Asthma. This is a combine course cover both Asthma and Anaphylaxis. All schools and childcare providers are required to have staff trained in Asthma Management and Anaphylaxis Awareness, ensuring a trained First Aider is immediately available at all times. Family Day Care providers ensure that all staff members are certified in both Asthma and Anaphylaxis. Does your employment require certification? Please refer to the Australian Children’s Education and Care Quality Authority website for details. 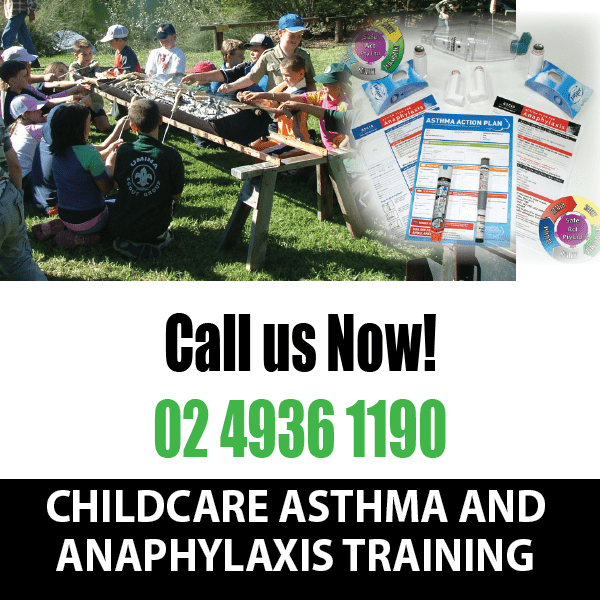 This course is a skill set combination Asthma Anaphylaxis training course designed for child care workers.